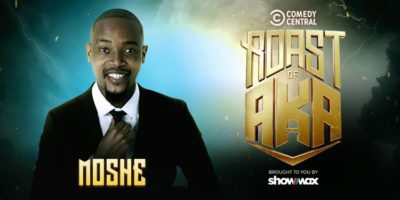 Our Agony Uncle Moshe Ndiki and award-winning musician Davido have been announced as the newest additions to the Roast of AKA panelists. The stars will have a chance to throw their best jabs at Supa Mega and the other panelists. This comes after Moonchild Sanelly and Papa Penny also joined the Comedy Central announced the news on social media. The Comedy Central Roast of AKA will take place on 21 February 2019 at Montecasino. Moshe and Davido join Roast of AKA as panelists. Excited yet? The post Moshe and Davido join Roast of AKA as panelists appeared first on Bona Magazine.